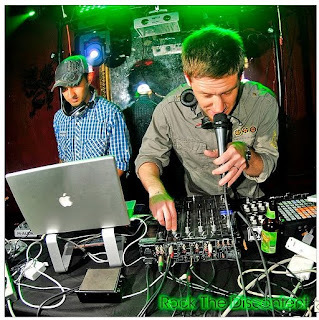 I first got interested in Sub Swara through the gorgeous Fort Knox Five remix of the track - The Balance. You can hear it on the FNFive - Party Funk mix previously mentioned on this blog here. Listen out for Party Pushers and the remix of the Beatles - Revolution - another pair of favourites from that excellent mix that I play alot at home (tip: great for parties too). The Balance - Fort Knox Five Remix can be found on its own on their soundcloud page. 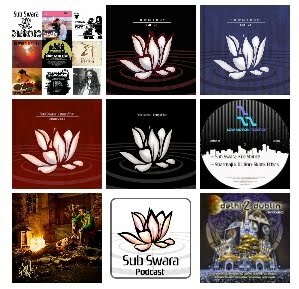 and the original is on theSub Swara debut album Coup d'Yah (June 2008) - follow that link to their website and you can hear the original. Completely different from what I expected but still love both versions. Chorus Lyrics (sort of): We no born rich, we no dress fine, We R want ting in me own mind, We R link up, We R make tings, We R party hard til we break tings. We R physical, we emotinal, We R live free, We R liberal, We R fight back, We outrageous, We R deadly, We contagious... So what about de balance den den? Its all about the balance balance! Amen! Killa Sound Boy on their sound cloud page is good too and here's their myspace page. Sub Swara hails from Brooklyn, New York and plays music with a genre-bending bass weight that parallels the depth and diversity of its hometown. Consisting of Dhruva, Dave (Sharmaji) and Haj, with vocalist Juakali, Sub Swara’s music centers on a wide array of influences, from dub to dancehall to hip hop to punk rock to funk and global sounds. Meticulously crafted for both the dancefloor massive and the headspace, Sub Swara’s music unites tribes by bridging gaps across all lines. The crew blends both electronic production and live instrumentation into its recordings and performances, creating an intense, human touch in its modern, electronic sound. Funnily enough I played those Fort Know Five mixes when I couldn't be arsed to DJ any more at that house party on Sat and everyone danced their nuts off to them!